This book was recommended to me by Rachel. I had seen it displayed quite prominently in several bookshops over the past few months, and so knew that it would be a popular book amongst teens at the moment. I cannot say that it is the kind of thing that I would usually read, and – if I am entirely honest – it struck me as a ‘girls’ book. The book focuses on Harriet, a self confessed geek, who is dragged along to a fashion fair by her friend Nat, who wants more than anything in the world to be a model. However, things don’t go entirely to plan when it is not Nat who is spotted by the agents, but instead Harriet herself. For someone who has always professed to hate fashion, how will she cope with the idea that she could be a model? As I mentioned before, I approached this with the idea that it was a book for girls. 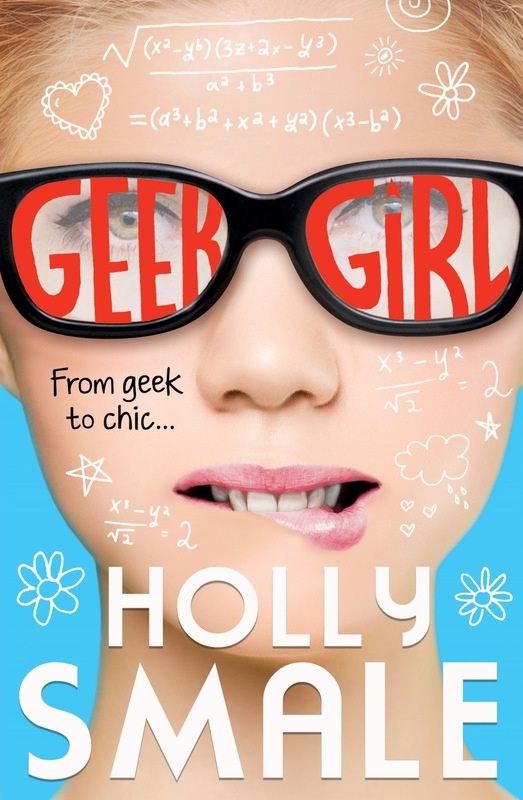 Whilst there is no denying that this is the prime target of Geek Girl, I have to say that I absolutely loved it. Smale is a very talented writer who has created such amazing and likeable characters that it is incredibly easy to become fully absorbed in her world. The storyline is not something that holds any interest to me, but through great writing and wonderful characterisation, I was so hooked that I read the whole book in one sitting. If you are a teenage girl, then this is the book for you. However, if you are not then don’t discount it. Reading books that you never usually would and loving them is exactly the kind of thing that makes this challenge worthwhile.